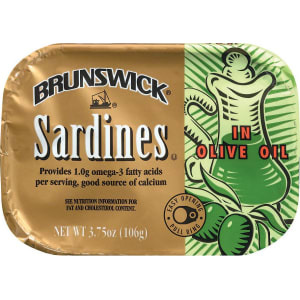 Brunswick Sardines in Olive Oil 3.75 oz from Target. Wild caught sardines in premium olive oil to enhance the natural flavor of the sardine. This is a great snack item, but is also delicious served on salads or pizza.